In the morning raining at Minakami. When rain water level in river go high and good. 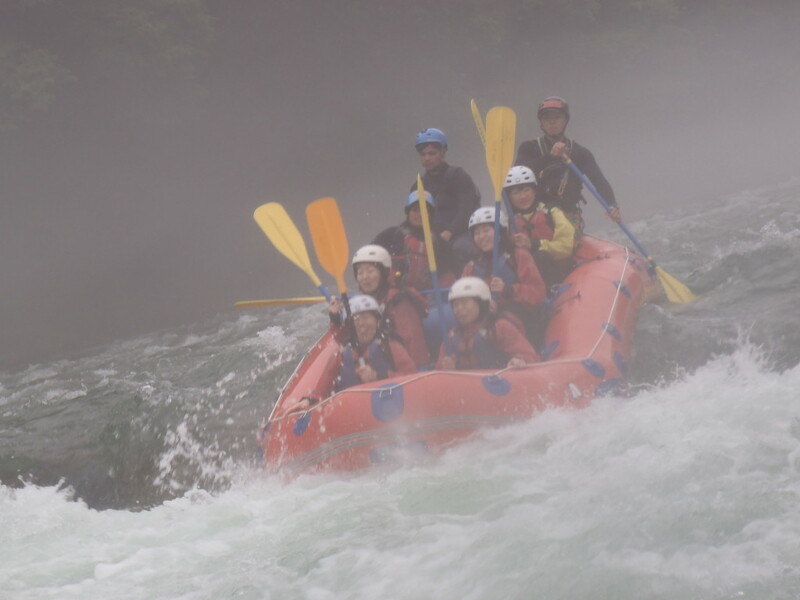 We were excited to go our rafting trip with this weather. We had three trips today. When we were in the river, it was very foggy. We could not see what is coming front of us. It was so funny, we not seeing nothing. But we had really great rafting, swimming, jumping, boat surfing. We finished our day with lots of fun!! !